The Greatest Show on Earth at the KFC Yum! Center May 15th - 18th | Joe Hayden Real Estate Team - Your Real Estate Experts! The Greatest Show on Earth is returning to Louisville to thrill audiences with the excitement and suspense for which it has become well known. Ringling Brothers and Barnum & Bailey Circus will be at the KFC Yum! Center with shows May 15th - 18th. The Ringling Brothers and Barnum & Bailey Circus has two large three ring circus-sized traveling shows. Built to Amaze, also known as the Red Unit, is the show in Louisville May 15th through May 18th. In order to continuously evolve the show and make it different for their audiences, the circus has two touring groups performing. Each group performs its show for two years. In alternating years one of the groups returns to Winter Quarters to create a new show that they will present for the upcoming two years. Ringling Brothers creates the tour schedule so that if the Blue Unit is in a city one year, the Red Unit performs in that city the next year, so you always see a new show. There is also a Gold Unit that performs at smaller venues. Clowns, trapeze artists, the largest display of big cats in the world and elephants with new dance moves are where you have your expectations, but have you seen basketball on unicycles? What about acrobatic poodles? Don't worry, they haven't lost their sense of tradition. 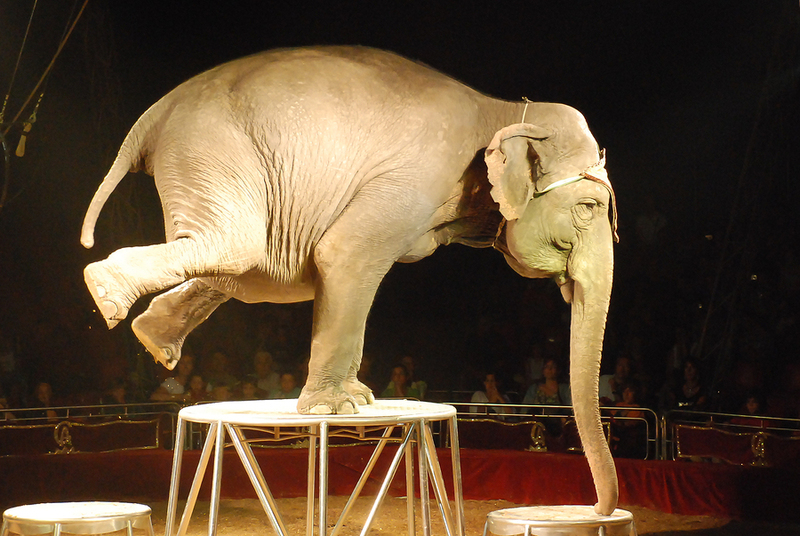 Ringling Brothers and Barnum & Bailey Circus is still shooting humans out of a cannon. Ticket prices start at $10.00.